Oris has announced a new, and very limited racing watch, the Robert Kubica Limited Edition. While this announcement is exciting by itself, it is extra special for the WatchPaper staff. 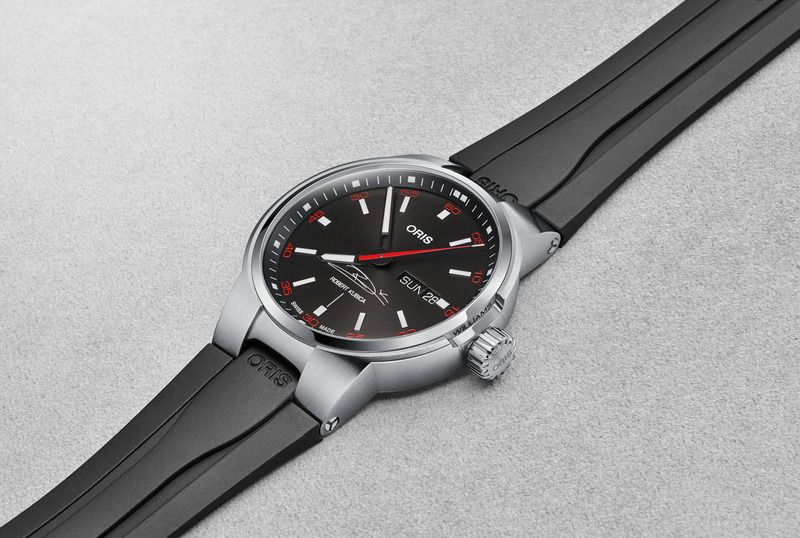 With WatchPaper being a Montreal-based blog, this gorgeous new Oris has struck an emotional chord. You see, Robert Kubica has a bit of history with Montreal. In 2006, the Polish racing driver became the reserve driver for the BMW Sauber F1 team, whose star driver was none other than Canada’s Formula 1 former champion, Jacques Villeneuve. When Villeneuve was deemed unfit to race by the BMW Sauber team, Kubica was promoted to the role of race driver. This type of in-season move is very rare in F1 and Kubica had taken over the seat of Montreal’s darling F1 star. The following year, the F1 circus arrived in Montreal with Kubica’s star status rising, despite an epic championship battle involving rookie sensation Lewis Hamilton. I was sitting at my usual seat at the hairpin when all hell broke loose. Robert Kubica crashed his BMW Sauber against the wall in the middle of the hairpin and I witnessed the most horrendous accident I can remember — right before my eyes. I thought we were going to get killed by debris! These photos were taken by my friend who was sitting right beside me. It is a miracle, and a testament to modern technology, that Kubica escaped with his life. Things took a turn for the worse in 2011 when Kubica was competing in a rally. 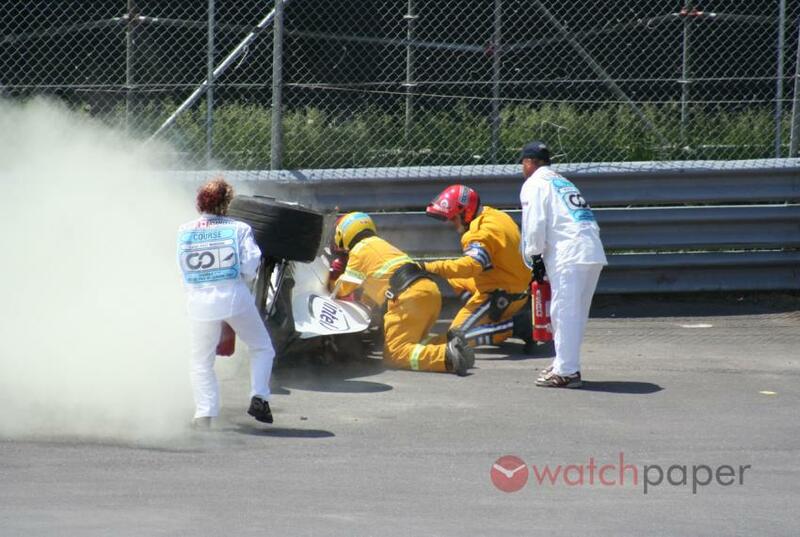 He was injured in a terrible accident and his F1 career was in jeopardy. An incredible turnaround saw the Polish star become the reserve driver for the Williams team in 2018. 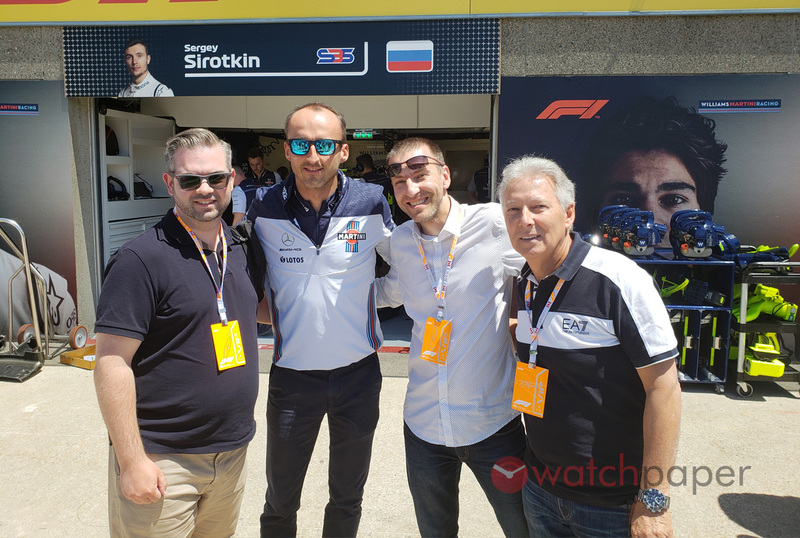 Adam and I attended Grand Prix Friday as guests of Oris in the Williams paddock this summer, and we got to meet the Polish racing legend! That was awesome. 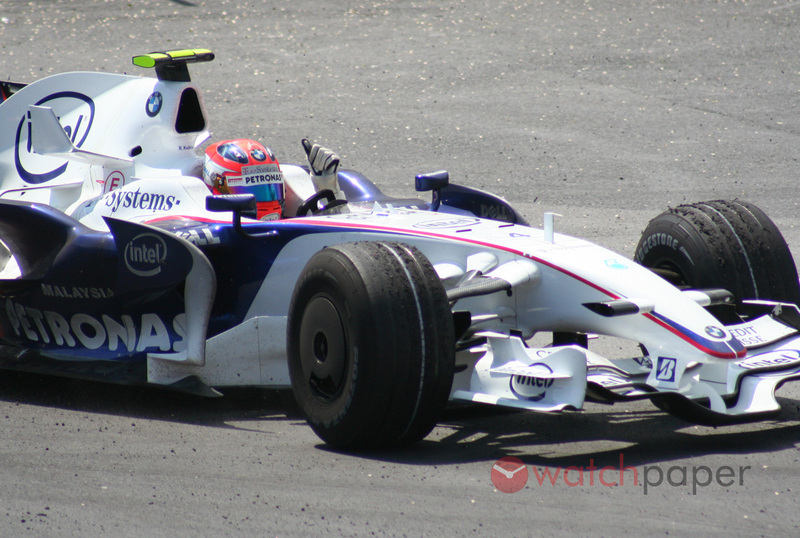 Ten years ago, I was sitting at the hairpin watching Kubica claim his maiden F1 victory. And this year, I was chatting with Kubica in the Williams team paddock. Oh man… that just blows me away. So you can appreciate my excitement for the Oris Robert Kubica Limited Edition watch. This mechanical timepiece is based on the Oris Williams Day Date. The reference number, which starts with 735, indicates that the power unit is based on the Sellita SW 220-1. While this is not a chronograph, or exclusive to the new watch, the SW 220-1 is a proven and reliable engine. It is quite appropriate for a timepiece named after a tough-as-nails Polish racing driver! The red accents on the watch are a tribute to the Polish flag. The watch features Robert Kubica’s signature on the dial and rotor and it is delivered in a beautiful box with a certificate. Only 250 examples of the watch will be made, so act fast if you want one. 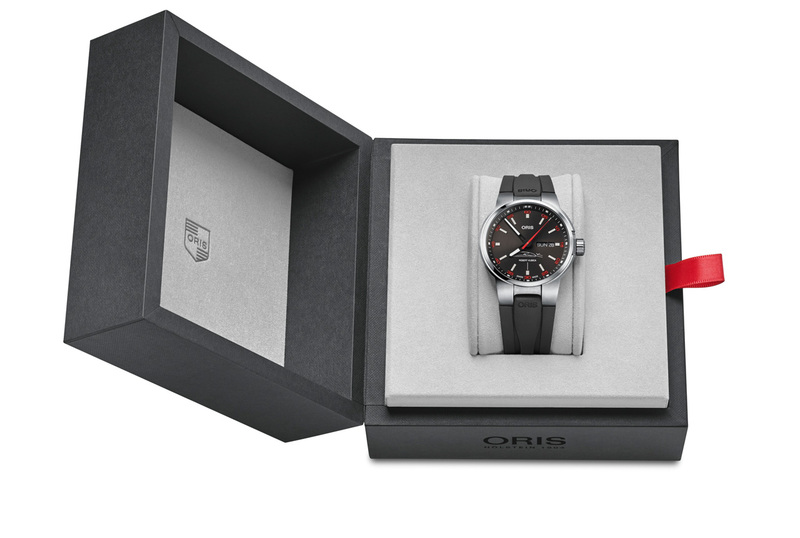 The Oris Robert Kubica Limited Edition will sell for a surprisingly affordable price of 1450 CHF. 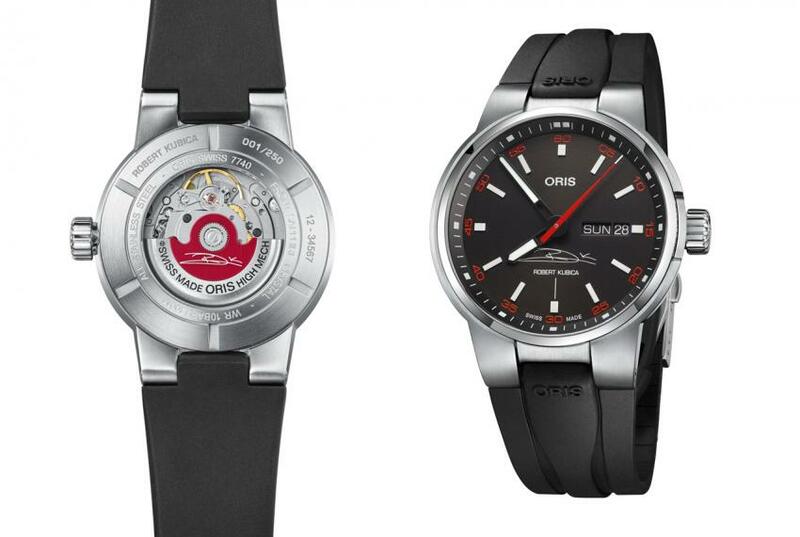 If you cannot get your hands on this limited edition Oris, check out their other racing watches. After 15 years in F1, Oris is one of the most authentic racing watches out there. As always, the fun is in the search.